Planetary astrology Science, Considerable subjects as per planets in Astrology, The effects of Mars in different Houses of Kundli or horoscope, The Mars Astrology, Mars and related things and how it affects the Life, how planets makes impact on different subjects?, Mantra or spell of Mars, Things of Mars to offer or daan. Mars is a very powerful planet and its element is fire. It is the symbol of power. A good mars provide the land, power and honour in society while a malefic mars can make the chances of defamation. Mars or mangal represent estate, power, strength, farming or agriculture, patience, younger brother, courage, commander, enemy etc. It is ascendant with Capricorn and descendant with cancer. It is the master of south direction. Mars is strong in Aries, Scorpio, Capricorn, Aquarius and Pisces. The person having strong mars has qualities like as- Obstinate, courageous, unable to accept defeat, diplomat, expensive, worry free, reformer, straight forward etc. It effects the following places - Goldsmith working place, combat area, drug store, chemical store etc. Mars is related with following diseases- biliary fever, eyes problems, surgery, diseases due to poison epilepsy, skin diseases, smallpox, evil eye effects, Lungs problems, tongue problems, nose, eyer etc. 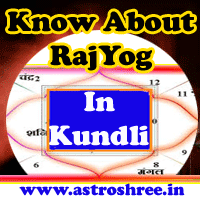 The combination of Mars and Saturn in horoscope or kundli destroy the wealth and family. Malefic Mars in 3rd house lead to premature death of brothers. In 4th house the negative mars lead to problem with mother, house, vehicle etc. 5th house malefic mars lead to miscarriage and pain in stomach. Malefic Mars or mangal in 6th place lead to phobia of enemies. In 7th house it lead to problems with partner. If mars is present in Gemini, Libra or Aquarius then it makes a person egotist. Due to overconfidence person gets loss. If there is mangalik yoga in horoscope then it destroy the partner. Don't read your own kundli. It is better to reach at any decision only after taking advice from an experienced astrologer because there are many other rules which must be kept in mind while analyzing any horoscope. Coral, molasses, copper, red cloths etc. Tuesday is the day of Mars or Mangal So if any remedies or rituals are done on Tuesday to cool down the malefic Mars or Mangal then it is very beneficial. Courage, ego, enemy, fame, surgery power, blood problems, temper, debt, farming, poison effects, explosive, illegal relations, lie, defamation etc are studied with mars. Use the occult sciences to get rid of problems of Mars. If you are facing any type of problems related to mars then don't worry consul now and get the best remedies to protect your life from evil mars. How To Be a Successful Builder Through Astrology? Planetary astrology Science, Considerable subjects as per planets in Astrology, The effects of Mars in different Houses of Kundli or horoscope, The Mars Astrology, Mars and related things and how it affects the Life, how planets makes impact on different subjects?, Mantra or spell of Mars, Things of Mars to offer or daan. Astrology for Life, astrology for success, astrology for love life, astrology for career, astrology for profession, astrology for marriage life, astrology for business, astrology for Hollywood and Bollywood, Online astrology for over all success.